Film Is Still Alarmingly Inaccurate! It’s been nearly one decade since former Vice President Al Gore released his film “An Inconvenient Truth.” It sent shockwaves through American politics and emboldened environmental activists to push for more regulations on American businesses. Gore warned increasing carbon dioxide emissions would spur catastrophic global warming that would cause more extreme weather, wipe out cities and cause ecological collapse. To stop global warming, humans needed to ditch fossil fuels and basically change every aspect of their lives. Watching “An Inconvenient Truth” is sort of like going back in time. Back to a world where flip phones were cool and “Futurama” was still putting out new episodes. A world where a bitter presidential candidate was trying to rebrand himself as an environmental crusader. But have Gore’s warnings, which were alarming to many in 2006, come true? In honor of the upcoming 10th anniversary, The Daily Caller News Foundation re-watched “An Inconvenient Truth” just to see how well Gore’s warnings of future climate disaster lined up with reality. Gore’s been harping on global warming since at least the late 1980s, but it wasn’t until 2006 he discovered a way to become massively wealthy off making movies about it and investing in government-subsidized green energy. Gore opens the film talking about nature, then jumping to a presentation he’s giving where he shows the first image ever taken of the Earth from space. From that image, he jumps right into making alarmist claims about global warming. One of the first glaring claims Gore makes is about Mount Kilimanjaro in Africa. He claims Africa’s tallest peak will be snow-free “within the decade.” Gore shows slides of Kilimanjaro’s peak in the 1970s versus today to conclude the snow is disappearing. Well, it’s been a decade and, yes, there’s still snow on Kilimanjaro year-round. It doesn’t take a scientist to figure this out. One can just look at recent photos posted on the travel website TripAdvisor.com. In 2014, ecologists actually monitoring Kilimanjaro’s snowpack found it was not even close to being gone. It may have shrunk a little, but ecologists were confident it would be around for the foreseeable future. “There are ongoing several studies, but preliminary findings show that the ice is nowhere near melting,” Imani Kikoti, an ecologist at Mount Kilimanjaro National Park, told eturbonews.com. “Much as we agree that the snow has declined over centuries, but we are comfortable that its total melt will not happen in the near future,” he said. Gore also claims temperature rise from increases in man-made carbon dioxide emissions were “uninterrupted and intensifying.” He goes on to claim heatwaves will become more common, like the one that killed 35,000 people across Europe in 2003. Sounds terrifying — until you actually look at what happened to global temperature after Gore’s film was released. Global temperatures showed little to no warming trend after Gore released his film. In fact, surface temperature data showed no significant global warming for a period of about 15 years, starting in the early 2000s. Satellite-derived temperature data showed, until the recent El Niño, no statistically significant warming trend for more than 21 years. Gore also famously predicted storms would become more frequent and intense as man-made emissions warmed the oceans. Gore’s film came out just after Hurricane Katrina ravaged the Gulf Coast. Indeed, footage of the destruction from that storm featured prominently in Gore’s film. He mentions how the U.S. was hit with a rash of severe storms in the early 2000s and how Japan saw a record number of typhoons. But Gore’s claim is more hype than actual science, since storms aren’t more extreme since 2006. In fact, not even findings from the United Nations’s Intergovernmental Panel on Climate Change (IPCC) support Gore’s claim. Gore should probably take these findings seriously since he shared the Nobel Prize in 2007 with the IPCC for its work on global warming. With no Arctic sea ice, polar bears and all sorts of Arctic animals would be threatened, Gore warned, showing an animated scene of a polar bear drowning. This is actually one of Gore’s more cautious predictions — he did incorrectly predict in 2008 there would be no Arctic by 2013. But even in this case, Gore is likely wrong because of the Arctic’s geographical setting. The Arctic is almost completely surrounded by land, so the ice that forms there tends to stay there. Arctic ice coverage has shrunk in recent decades, but it’s not likely we will see even a summer where the North Pole is completely ice-free. “I doubt the Arctic will be free of all ice in any summer, although the total area may well be greatly reduced in the future if it continues to warm there,” said Chip Knappenberger, a climate scientist at the libertarian Cato Institute. “Such a situation should not be overly worrisome, as there is ample evidence that it has occurred in the past and clearly, polar bears, and everything else up there managed to survive,” Knappenberger said. And before I forget, the latest data shows polar bears are actually thriving, despite shrinking ice coverage. Remember the 2004 blockbuster film “The Day After Tomorrow”? 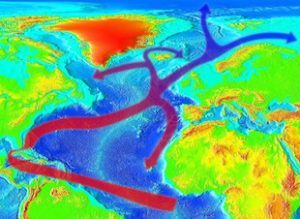 In the movie, the Gulf Stream, which scientists say is essential for regulating the climate, shuts down and ends up causing another ice age. Well, Gore hints this could happen if Greenland’s ice sheet melts and brings more cold water into the North Atlantic. With the United Nations conference on climate change just around the corner, scheduled in Paris November 30 to December 11, the climate change delusional propaganda is being ratcheted up to historic levels. We are now hearing things which under normal circumstances would be considered downright crazy talk. There is something about delusions and insanity – if you put enough lunatics in a room together, they all seem normal in comparison to each other. Unfortunately for the global warming alarmists who are completely immune to logic and reason or any natural laws of science, the atmosphere, sunlight or any other laws of nature that interferes with their personal tyrannical global government agenda, not everyone is indulging in this heavily funded blind climate change lunacy dogma that is seemingly sweeping the globe leading up the U.N. conference in Paris. In fact, the kind of radical talk we’re hearing from those who are pushing the carbon tax agenda is so loud and scary that up to 130 countries are threatening not to sign the climate agreement in Paris unless it gives them specific wealth they are looking for to improve their own countries. Hopefully this resistance is an early sign of things to come. 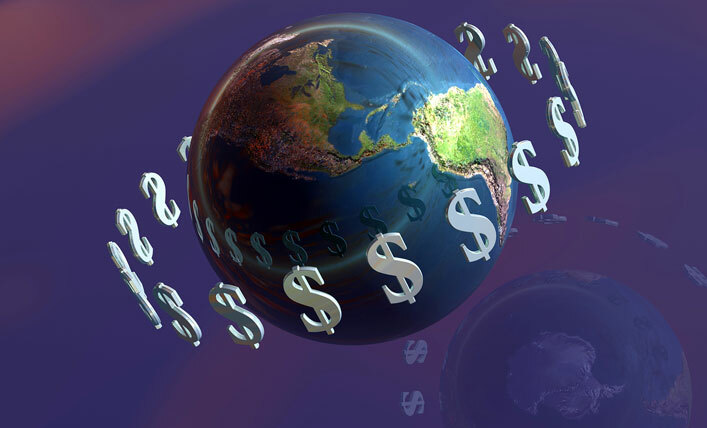 Hopefully nations and people around the world will eventually see all of the global climate talk for what it is – a global taxation scheme to fund the global government forever so they can complete their imagined goals of stripping sovereign nations and individuals of their rights. This process is already underway. Meanwhile, as we approach the upcoming U.N. climate conference in Paris the runaway train of lunacy surrounding the global warming hoax turned climate change has not only risen from the dead but is now growing horns and sharp fangs and it’s looking to attack. The global warming beast is alive but in a Frankenstein kind of way. It’s an experiment (on humanity), it’s engineered, it’s artificial and “it’s alive” again. Let this shocking first contention sink in. The declaration that CO2 causes global warming is blindly accepted as gospel never to be questioned. Based on this blind dogmatic blatant lie, which has been proven wrong over and over again, we now face a catastrophic metastasizing tyrannical global government takeover of humanity, and left-brain, left-wing progressive, climate changers are blindly rolling right along with this takeover of humanity just as planned many decades ago by the Club of Rome and the Committee of 300 who laid down the groundwork for this deceptive movement. [An International Tribunal of Climate Justice as][A] [compliance mechanism] is hereby established to address cases of non-compliance of the commitments of developed country Parties on mitigation, adaptation, [provision of] finance, technology development and transfer [and][,] capacity-building[,] and transparency of action and support, including through the development of an indicative list of consequences, taking into account the cause, type, degree and frequency of non-compliance. With the global community blindly moving forward with ideas for climate tribunals to vote on whether to punish sovereign nations (like the U.S.) thereby undermining national (and individual) sovereignty in the name of the global warming hoax, it’s time to get angry and start fighting back. It’s time for the scientific community to strangle this diabolical and phony climate movement that now threatens all sovereignty globally in the name of the global warming hoax which specifically blames CO2 for the warming of the planet and ignores the proven and obvious effect and role the sun plays in warming the planet. Both of these assertions (CO2 as the cause and the claim that the planet is warming uncontrollably) have been factually proven to be lies and ignore many facts about the atmosphere including the insignificant role played by CO2 and the enormous impact made by water vapor. It also ignores that over and over again NASA studies show that we have a net gain in arctic ice globally, that sea levels have risen but only slowly and that global warming has not occurred as expected over the past 14 years as reported by IPCC themselves in 2013. What is true in all of this is the we all want (who doesn’t?) a clean planet and we should strive for a clean planet. However, that goal has nothing to do with CO2 (a necessary nutrient of the earth necessary for life!) emissions but instead with stopping the dangerous chemtrails spraying program which is releasing proven toxic metals into the atmosphere and destroying the planet and poisoning humanity. How do you get an average global temperature when there are only eight thermometers in Antarctica? This is an extremely important video. When the American Physical Society, of which he was a long-time member, announced that the evidence for global warming was “incontrovertible,” Nobel Laureate Ivar Giaever resigned. How do you get an average temperature when there are only eight thermometers at the South Pole? Look at where the temperatures are measured, says Giaever. The United States is practically covered. But there are only eight thermometers at the South Pole according to NASA. Only eight thermometers in Antarctica, a continent more than twice the size of the entire contiguous United States! And we’re supposed to believe the global warming lies. You’ll have heard of it, COP-21, the latest United Nation conference on all things climate, coming to Paris (France) in December. Wouldn’t you know it, just in time for that “cataclysmic” event, nature does not want to play according to the organizers’ script. Rather than the polar ice caps having shrivelled to mere remnants by now, forecast for many years by all climate modelling enthusiasts, the polar ice shields have been growing by leaps and bounds. For example, according to a recent report by NASA scientists HJ Zwally et al., the Antarctic ice shield has been growing for 15 years already, even at an alarming rate. Then we learn that near the earth’s opposite pole, in Greenland, the rate of ice accumulation is breaking new records too; see the figure below (source: Danish Met. 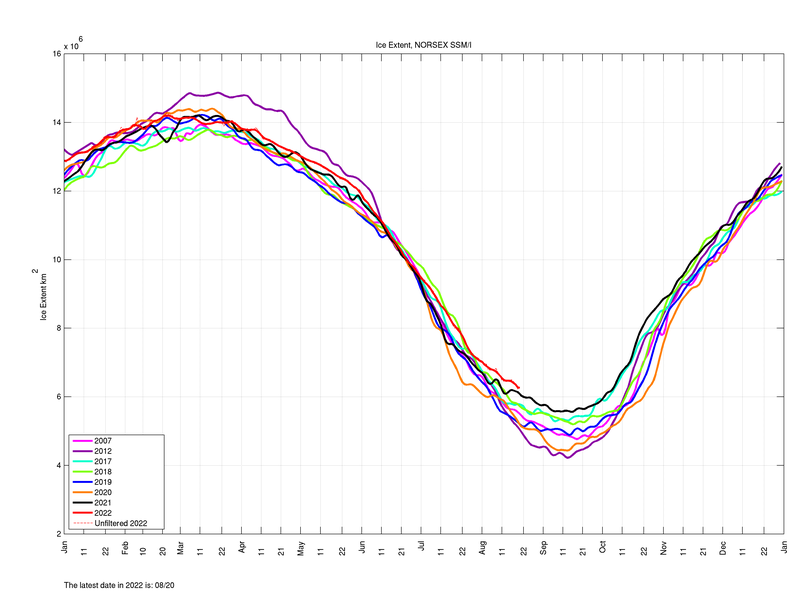 Inst., Nov. 7, 2015) and, last not least, the seasonal growth of the sea ice extent in the Arctic is not far behind. It must come as total consternation to all those people who have claimed for years now that “climate change” or “global warming” as it used to be termed is about ready to “incinerate” all life on earth. For example, “climate modellers” like S. Rahmstorf at Germany’s PIK have claimed for years that the polar regions would be most sensitive to any warming and that the polar ice masses were going to recede in a great hurry and that the ocean levels would rise fast. In reality, none of that is the case. In fact, the polar ice masses continue to grow, some reaching new all-time records in both ice extent and accumulated mass. Also ocean levels are NOT rising as previously predicted. If you feel somewhat confused, please don’t shoot the messenger. As the late Alan Caruba has claimed for years, the climate fear-mongering is nothing but an elaborate hoax. The fact that even Pope Francis subscribes to the climate gospel now does not cause the ice masses to shrink. Perhaps his Holiness’ recent encyclical letter “Laudato Si, on care for our common home” may sway some folks’ views but even the Pontiff cannot dictate nature’s course. Just as an aside, the Vatican has never signed on to the Kyoto Protocol of 1997 that was to limit carbon dioxide (CO2) emissions. If the now two-decade long lack of the prophesized warming and actually increasing ice masses at the earth’s poles are not enough to worry about, there are even more dire facts that may jolt you back to reality. The sun’s radiation is of vital importance to the well-being of all life on earth, not a new recognition at all. What’s (relatively) new is the recent lack of sunspots and what that means for the climate. Rather than “global warming” a lengthy period of “global cooling” could be in the offing. For some time already, NASA scientists (and others) have predicted the arrival of prolonged periods of low sunspot activity. Their predictions seem to be coming true. With some exaggeration, one could say that “sunspots are nowhere to be seen.” The current 11-year cycle, termed SC-24, is certainly quite reminiscent of those prevalent in the “Maunder Minimum” that are widely thought to have caused the medieval “Little Ice Age” with its mass starvations and general misery throughout Europe. Surely, the current state of “climate” mis- and mal-information could hardly be expressed more clearly. Perhaps then a total rethink of current “climate change” ideas may be opportune. So, let’s get back to the city on the River Seine. Back to Paris then. The number of delegates to the COP-21 event is likely to be well above 10,000; some reports even estimate the number to be near 40,000. Among the dignitaries said to show up are Pope Francis, U.S. President Obama, and many other world leaders, together with their entourages, media reps and all others. One may actually wonder as to who will NOT be there? At COP-21, the representatives of many developing nations and non-governmental organisations are hoping to get a binding agreement on massive climate “reparation” funds to flow to them from western societies. India alone appears to angle for $2,500,000,000,000 (over a few years). So far, however, the commitments (or promises) by “donor” nations are falling far short of the (initial) UN goal of $100 billion per year. 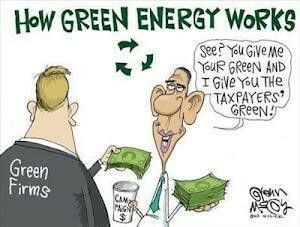 “Carbon” taxes and other fiscal monstrosities are supposed to pay for all the shenanigans. As mentioned recently by P. Driessen, this UN “wealth redistribution scheme” may only benefit the ruling elites in poor countries and do next to nothing for the people who are in dire need of reliable, cheap, and plentiful energy. Underlying all that effort to create a “new world order” is the claim that CO2 produces a runaway global warming. That hypothesis is the (faulty) lynchpin for the entire CO2-catastrophy story. Not only is that story easy to disprove, it is even easy to demonstrate that the opposite is the case. Without CO2 in the air, there wouldn’t be any plants on earth; none at all, period. All land would be barren and inhospitable places, like the Gobi Desert (picture below, from Wikipedia) but without the camel, or the Sahara, or Death Valley. All such deserts have larger daily temperature ranges than areas at similar latitudes with abundant trees in foliage. The reason is that the trees’ transpiration of water consumes a large amount of energy that moderates the day/night temperature fluctuations and hence provide warmer nights and cooler days than would be found there without them. This has absolutely nothing to do with any greenhouse gas effect that CO2 may have; it’s solely a function of evaporative cooling. However, as the maligned carbon dioxide is absolutely vital to plant growth, it is also the ultimate cause of moderate temperature fluctuations. Therefore, CO2 is not just vital to all life on earth but is also a great climate stabilizer. There, you have an explanation for all the ballyhoo. Is nature listening? I don’t think so. As always, nature has her own will and her own ideas when it comes to the weather and climate—and we should be thankful for that. Without nature’s steady effort to supply the atmosphere with sufficient CO2 from volcanoes and other fissures in the earth’s crust to sustain all life on earth, we would not even exist. Though highly unlikely, a sudden cessation of nature’s CO2 emissions would lead to a rapid decline in the atmospheric CO2 from the current 0.04% to about 0.02% or less. At that level, all plant growth on earth would be slowing to a crawl. Food production would dwindle with mass starvations to quickly follow. Trying as hard as it might then, mankind’s contribution of CO2 to the atmosphere could not make up for nature’s shortfall. In any event, regardless of who agrees to what at COP-21 in Paris, nature doesn’t care, the polar ice sheets will be waxing and waning as per her dictate alone. Dr. Klaus L.E. Kaiser is author of CONVENIENT MYTHS, the green revolution – perceptions, politics, and facts. Dr. Kaiser, scientist and author, has been conducting research for more than four decades. After receiving his doctorate in chemistry from the Technical University Munich, he joined Environment Canada’s National Water Research Institute where he served as research scientist and project manager for several research groups. He represented the institute at a variety of national and international committees, gave numerous presentations at scientific conferences, was editorial board member and peer reviewer for several journals, adjunct professor and external reviewer of university theses, and was the Editor-in- Chief of the the Water Quality Research Journal of Canada for nearly ten years. Dr. Kaiser is an author of nearly 300 publications in scientific journals, government and national and international agency reports, books, trade magazines, and newspapers. He has been president of the Intl. Association for Great Lakes Research, and is a recipient of the Intl. QSAR Award. He is currently Director of Research of TerraBase Inc., and is a Fellow of the Chemical Institute of Canada. Dr. Kaiser is widely recognized for his expertise in environmental chemistry and his “no-nonsense” approach to issues. Obama headed to Alaska to fight global warming How will he explain the summer snow and unusual cold? “When President Obama visits Alaska this week to campaign for a new international agreement to fight global warming climate change, Alaska will be experiencing colder than normal weather and forecast summer snows,” says meteorologist Dr Roy Spencer, who displays this WeatherBell.com graphic on his website. Forecast total snowfall by Friday, Sept. 4, 2015 from the GFS model (WeatherBell.com graphic). “The dirty little secret is that the climate is always changing,” says Dr. Spencer. “The supposed poster child glacier for global warming in Alaska is Mendenhall Glacier…except that it had already retreated one mile by the early 1900s, long before human greenhouse gas emissions could be blamed. “Furthermore, its retreat is uncovering large tree stumps approximately 1,000 years old, coincidentally coinciding with the (naturally-caused) Medieval Warm Period, back when the Vikings were able to farm in Greenland. So how will Obama explain the summer snow and unusual cold? I’m guessing that he’ll pretend it isn’t happening. Note: Back in September 2013 I pointed out that those exposed tree trunks at Mendenhall Glacier were proof positive that it has been warmer in the past, long before SUVs came onto the scene. Roy W. Spencer received his Ph.D. in meteorology at the University of Wisconsin-Madison in 1981. Before becoming a Principal Research Scientist at the University of Alabama in Huntsville in 2001, he was a Senior Scientist for Climate Studies at NASA’s Marshall Space Flight Center, where he and Dr. John Christy received NASA’s Exceptional Scientific Achievement Medal for their global temperature monitoring work with satellites. Caution – Spin doctors at work. “News about an imminent ‘mini ice age’ is trending — but it’s not true,” shouts the headline in the Washington Post. Those stories are based research revealed just last week by University of Northumbria mathematics professor Valentina Zharkova and her colleagues. Zharkova presented her findings at the Royal Astronomical Society’s national meeting. But the Washington Post wants you to ignore Ms. Zharkova. “Zharkova never even used the phrase ‘mini ice age,'” the WaPo asserts. Granted, Zharkova did not use that particular phrase. But look at what she did say: “We predict that this will lead to the properties of a ‘Maunder minimum’,” said Zharkova. Anyone who has done even a cursory study of the Maunder minimum and the Little Ice Age knows that those two terms are almost inextricably linked. Trying to discount her findings in such a disingenuous way would be laughable if it weren’t so dangerous. But then, the WaPo makes an even more startling pronouncement: That “Little Ice Age” that occurred during the Maunder minimum “wasn’t so much a global ice age as a cold spell in Europe,” the article asserts. Not just their fields, in the Chamonix valley near Mont Blanc, France, numerous villages were lost to the advancing front of ice. Effective immediately, the Space and Science Research Corporation (SSRC), a leader in climate prediction, has dropped the US government’s ground based global temperature data from its list of reliable sources. 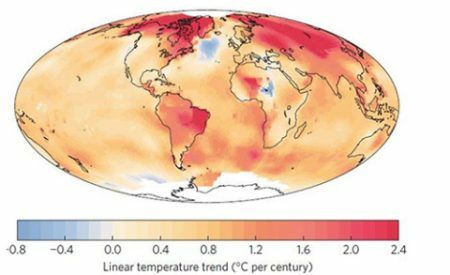 This significant step has been made by the SSRC after extensive review of the US government’s ground temperature data and its wide divergence from more reliable sources of climate data, namely satellite systems. The SSRC has found multiple flaws that it says render the US government’s climate data virtually unusable. The SSRC has further observed that the US government and specifically, President Barack Obama, have routinely deceived the people regarding the true status of the Earth’s climate, its causes, and where the global climate is heading. In the past, the SSRC has used five global temperature data sets, three ground based (NOAA, NASA and HADCRUT) and two satellite data sets (RSS, UAH). These data sets are analyzed and an integrated picture of all five allows the SSRC to produce its semi-annual Global Climate Status Report (GCSR). HADCRUT is a combined set from two UK science groups. As of today, the SSRC will no longer use the ground based data sets of NASA and NOAA because of serious questions about their credibility and allegations of data manipulation to support President Obama’s climate change policies. Use of HADCRUT will also be suspended on similar grounds. According to SSRC President, Mr. John L. Casey, “It is clear that during the administration of President Barack Obama, there has developed a culture of scientific corruption permitting the alteration or modification of global temperature data in a way that supports the myth of manmade global warming. This situation has come about because of Presidential Executive Orders, science agencies producing unreliable and inaccurate climate reports, and also with statements by the President about the climate that are patently false. For example, the President has said that global warming is not only a global threat but that it is “accelerating” (Georgetown Univ. June 2015). Further, he has said that “2014 was the planet’s warmest year on record” (State of the Union Address, January 2015). Both these statements are simply not true. He has also publicly ridiculed those who have correctly stated that there has been no global warming for eighteen years therefore nullifying any need for US government actions to control greenhouse gas emissions for any reason. Climate mendacity seems to be the rule and not the exception in this administration. “As a result, the US government’s apparently politically manipulated ground based temperature data sets can no longer be regarded as credible from a climate analysis standpoint. Until scientific integrity is restored in the White House and the rest of the federal government, we will henceforth be forced to rely solely on satellite measurements. “Most disturbing of course, is that the President has failed to prepare the country for the difficult times ahead as a result of the ominous changes taking place on the Sun. Dr. Ole Humlum, a Professor of Physical Geology at the University of Oslo, Norway and an expert of global glacial activity, is the co-editor of the SSRC’s Global Climate Status Report (GCSR). He adds to Mr. Casey’s comment with, “It is regrettable to see the politically forced changing of temperature data which will of course lead to the wrong conclusions about the causes and effects of climate change. Recently, NOAA indicated that May 2015 was the warmest May since 1880. Yet, this cannot be verified by satellite measurements which show that May was in the average range for the month over the past ten years. Also, on page 41 of the June 10, 2015 GCSR, we noted that the temperature spread between ground based and satellite based data sets, has now widened to a point that is problematic. The average in degrees Centigrade among the three ground based sets shows a 0.45 C warming in temperature since 1979. For the more reliable satellite systems, it is only 0.17 C warming. This 264% (0.45/0.17) differential is scientifically unacceptable and warrants ending the reliance on the ground based data sets until some independent investigation of the variance resolves the matter. 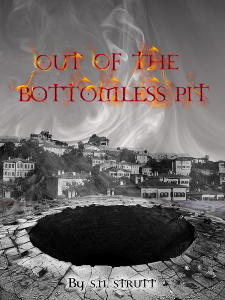 BUY the AMAZING & hard-hitting book "OUT OF THE BOTTOMLESS PIT" by new author S N Strutt, which mentions CLIMATE CHANGE and WEIRD WEATHER patterns & Why. Many insist on Global Warming and yet others on Global Cooling. Which is correct? This book addresses the issue very well, as these issues are yet tied in with other even more interesting and intriguing topics such as GEO-ENGINEERING. On Thursday and Friday, June 11-12, there will be a gathering of some of the nation’s and the world’s leading climate change “skeptics” in Washington, D.C. and joining them will be members of Congress and their staffs. The Tenth International Conference on Climate Change will occur and the odds are that the mainstream media, as it has done for all the previous conferences, will do its best to ignore it. In attendance as well will be scores of scientists, economists, and policy experts for a conference being held just two blocks from a White House in which the President of the United States resides while lying about “climate change” as the greatest threat to the planet. The Conference is sponsored by The Heartland Institute, a Chicago-based free-market think tank and, while most of us have heard of the Rand Corporation or the Heritage Foundation, Heartland is one of the those power houses that labors without the “image” accorded others. Founded in 1984, it has a full-time staff of 31 with approximately 235 academics and professional economists who participate in its peer-review process, plus more than 160 elected officials who serve on its Legislative Forum. In addition to the environment, its scholars also focus on education, health, budget and tax issues. I have been a Heartland policy analyst for so long I can’t recall when I joined. Approximately 8,300 supporters contribute to its annual budget of $6 million. It does not accept government funding. Without your knowing it, the nine conferences that preceded the current one have had a dramatic impact on your life and wallet. For one thing, you’re not being robbed by a “carbon tax” aimed at “reducing greenhouse gases.” On the other hand, you may be at risk of losing a coal-fired plant that provides your electricity if the Environmental Protection Agency is allowed to continue its vile attack on our energy resources. It has been Heartland and a handful of other think tanks that labored to inform the public about the science that utterly debunked the lies about “global warming” and now works to do the same for those applied to “climate change.” Heartland’s power is seen in its conferences. The problem for Heartland and the rest of us is that we are up against the U.S. government whose Obama administration is completely committed to the lies; agency by agency within the government have budgets and programs to continue to telling the lies. Beyond them is the entire system of government schools and, beyond them, much of the higher education community. In early June the Daily Caller reported that “National Oceanic and Atmospheric Administration scientists have found a solution to the 15-year ‘pause’ in global warming: They ‘adjusted’ the hiatus in warming out of the temperature record.” This is what Heartland and others have been fighting against and exposing since the global warming hoax began in the late 1980s. And we are beginning to see the Congress respond. As reported by CNS News, appropriators in the House of Representatives have let it be known that they are taking aim at one of the Obama administration’s most cherished priorities—international climate change funding. An appropriations bill for the State Department and foreign operations excluded the Green Climate Fund, the Clean Technology Fund, and the Strategic Climate Fund, while also removing funding for the U.SN-backed Intergovernmental Panel on Climate Change. That’s millions in U.S. taxpayer funding that will not be wasted on the climate change hoax. The Conference will honor some of the world’s leading “skeptics”—the alarmists call them “denier.” They include Sen. Jim Inhofe (R-OK) as the winner of the Political Leadership on Climate Change Award, sponsored by the Heritage Foundation. My friend, Robert M. Carter, Ph.D. will receive Heartland’s Lifetime Achievement in Climate Science award. Others whom you may not have heard of include William Happer, Ph.D., David Legates, Ph.D., and Anthony Watts, all of whom have been on the front lines of the battle for the truth about the planet’s climate. An entire generation has grown up and graduated from college since the first lies about global warming were unleashed. That’s how long Heartland and others have labored to present the truth. If the media fails to take notice of this week’s conference, you will know that the battle will continue for a long time to come. The North Atlantic is experiencing record cold sea surface temperatures, and Greenland is experiencing its coldest summer and slowest melt season on record. 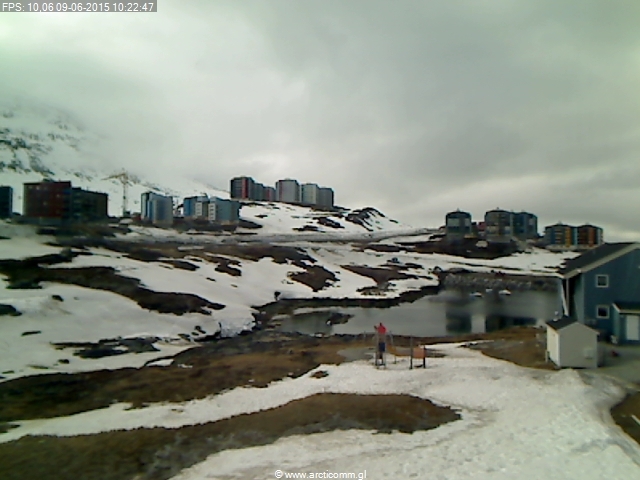 Scotland and Norway are experiencing record summer snowfalls. Government climate scientists respond predictably by further tampering with temperature data, and claiming record warm sea surface temperatures. These people are engaged in deliberate and blatant fraud, in order to push the President’s agenda ahead of the Paris Summit. There is no hiatus. Temperatures are dropping and Earth is entering a cooling period. It is critically important that Congress stops the fraudulent agenda of the White House and their stooges in government agencies who are creating fake data in support of it. Editor S.N.S : Here is the balance. Is the World's climate changing OR not? I personally think that there are other factors than mentioned in the following article, but I thought it a very scientific article, and it creates some sort of balance bewtween the EXTREMES of a HOT or COLD future? The claims of 97% consensus are a massive lie. 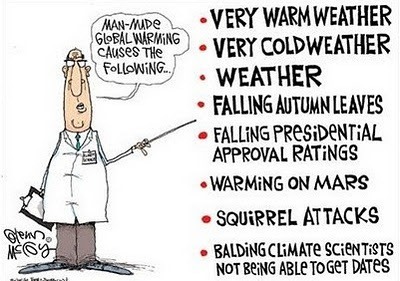 Only 52% of American Meteorological Society members believe that man is the primary contributor to global warming. The radiative transfer models used by government climate scientists show that going up to 550 PPM or even 1000 PPM CO2 will make minimal difference to the radiative balance of the atmosphere. The knee of the CO2 curve is at about 30 PPM, and additional CO2 has little first order effect. This is because almost all radiation in the CO2 absorption spectra is already being absorbed by H2O or CO2 molecules. Adding more CO2 has minimal effect, because there is not much radiation left to be absorbed. (This is a bit of an oversimplification because of second order effects, but those are also small.) There is no indication from the radiative transfer models used by government scientists that additional CO2 will cause large amounts of heating. The temperature record of both the US and the world has been massively altered since older versions, almost invariably to create the appearance of more warming, and in some cases to create warming where there is none. Sea level has been rising for 20,000 years, and is now 400 feet higher than it was when the first humans walked to North America from Asia across the Bering Strait. Most of the apparent sea level rise on the US East Coast is due to the land sinking, not sea level rising. There has been little or no sea level rise on the West Coast. The weather is not getting more severe. Since President Obama took office, there have been three US hurricane strikes – the fewest of any presidency. While Grover Cleveland was president in the 1880’s, the US was hit by twenty-six hurricanes. The US is currently experiencing its longest period since the 1860’s without a major (category 3-5) hurricane strike. The last one was Wilma in 2005. Florida is currently experiencing the longest period on record without a hurricane strike. The US tornado count over the past two years has been the lowest in the modern record. America’s worst forest fires occurred in 1871, when thousands of people burned to death in horrific firestorms around the Great Lakes – on the same day that Chicago burned to the ground. Climate is cyclical and is always changing. People always imagine that they live in the worst of times, as this 1871 article from the Brisbane Courier states. If you want to learn more about climate history, I have assembled a large collection of old newspaper articles about the weather below 350 PPM CO2. If you read through this, you will understand that lowering CO2 will not make the weather any better, or worse. I am more than happy to debate anyone who feels up to the challenge, including the President of The United States. Science works through research and debate – not censorship, propaganda, faith, or intimidation. There is only one piece of US climate data which correlates with CO2 – the amount of data tampering NCDC is applying to US temperature. All of the other relevant metrics show either no correlation, or negative correlation vs. CO2. The whole thing is a 100% scam – from top to bottom. The Little Ice Age was a period from about 1550 to 1850 when the world experienced relatively cooler temperatures compared to the present. Subsequently, until about 1940, glaciers around the world retreated as the climate warmed substantially. Glacial retreat slowed and even reversed temporarily, in many cases, between 1950 and 1980 as global temperatures cooled slightly. It is difficult to overstate how stupid this line of thinking is. They claim that glaciers melted as the climate warmed rapidly from 1850 to 1940, but then a slight cooling after 1940 caused glaciers to advance. The theory they are promoting is that the freezing point of water is controlled by whether temperatures are increasing, or decreasing – not the absolute temperature. That is just plain idiotic. 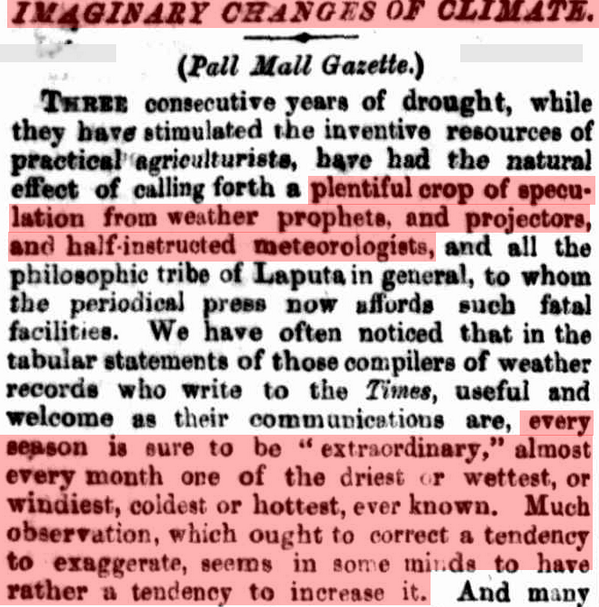 Humans surpassed this level of ignorance hundreds of years ago, until brain-dead climate science became prominent. These really are the world’s stupidest people. President Obama in a speech on Wednesday cast climate change as a growing national security threat, accusing Republican skeptics of harming military readiness by denying its effects. Obama argued in his address to graduates at the U.S. Coast Guard Academy that rising sea levels and higher global temperatures endanger military bases and could force personnel to respond to conflicts around the world that are fueled by their effects. Obama has highlighted security implications of climate change in recent months to drum up more support for his efforts to invest in climate adaptation and reduce greenhouse gases, including a landmark regulation to limit carbon emissions from power plants. Republicans in Congress, however, have stymied legislative action on climate change. The president took aim at GOP critics, saying temperatures are rising even though “some folks back in Washington” refuse to admit it. “Denying it, or refusing to deal with it, endangers our national security and undermines the readiness of our forces,” Obama added. He also questioned how Republicans could claim to support the military while downplaying the effects of global warming. “Politicians who say they care about military readiness ought to care about this as well," he said. Obama claimed the rise of Boko Haram in Nigeria and the civil war in Syria were both fueled by instability caused by severe drought and crop losses connected to rising temperatures. In addition to the international problems that global warming can cause, Obama argued the effects threaten military facilities and readiness. He pointed to street flooding in Miami and Charleston, S.C., as evidence that American infrastructure, such as roads and power plants, in coastal areas is vulnerable. The same is true for military bases in places like Norfolk, Va., where flooding has also occurred, he added. "It’s estimated that a further increase in sea level of one foot by the end of this century could cost our nation $200 billion,” Obama said. The president touted his efforts to reduce carbon emissions through more-stringent vehicle fuel standards, new Environmental Protection Agency regulations and his pursuit of an international agreement to reduce greenhouse gases. Refusing to act would be a “dereliction of duty,” he said. “It will not be easy. It will require sacrifice, and the politics will be tough, but there is no other way," he said. “This will be tough, but so often is the case, our men and women in uniform will show us the way." Sen. James Inhofe (R-Okla.) criticized Obama for calling climate change a national security threat, saying it shows the president lacks a coherent strategy to deal with the Islamic State of Iraq and Syria, the Syrian civil war and North Korea. Inhofe famously threw a snowball on the Senate floor in February to protest the administration’s climate agenda. --Tim Cama contributed to this report. Water captured in Lake Shasta flows to the hydroelectric power plant at the base of Shasta Dam in 2012. The reservoir is now filled to 50% of capacity, cutting the dam’s power production by about a third. Shasta Dam, looming more than 600 feet tall and gatekeeper of the largest man-made lake in California, was designed to perform two crucial functions: Store water and generate power. And for decades, the massive concrete structure has channeled water to cities and farms while generating up to 710 megawatts of hydropower, enough to provide electricity for more than 532,000 homes. But amid four years of drought, the reservoir is drained to 50% of capacity, cutting the dam's power production by about a third, according to federal reclamation officials. The story is the same at many dams across California, where electricity production at some is expected to be less than 20% of normal because of low water levels. The shortfall shouldn't cause brownouts, officials said, because California relies on dams for power far less than it did in decades past, due in part to the emergence of solar and wind energy. But it does come at a price. Caption Could Israeli desalination be model for California? Desalination became a resource revolution that allowed one of the driest countries in the world to cultivate a water surplus. Caption Chance of El Nino increases, but what does that mean? Chance of El Nino increases, but what does that mean? California has already burned through more than $200 million of its firefighting budget this fiscal year. Hydropower, even with its diminished profile, is important to California's energy mix as a quick, reliable and inexpensive source of electricity — a buffer during moments of peak demand. A reduced supply from dams forces the grid operator to turn to more expensive sources of power, such as natural gas, which also enlarges the state's carbon footprint. "Consumers have paid more than a billion dollars more for electricity than they otherwise would've. And our greenhouse gas emissions are higher than they would otherwise have been," said Peter Gleick, president of the Pacific Institute, an environmental think tank based in Oakland. "Over the last three years, and continuing this year, the costs are going to continue." In the 1950s, hydropower supplied almost 60% of the state's electricity. Now, it provides 14% to 19% in a normal year, and even less during a drought — accounting for about 8% of the state's total power last year. Renewable energy, on the other hand, provided more than 20%, according to the California Energy Commission. Making up the difference from less hydropower has not been cheap. The cost to California ratepayers could have been as high as $1.4 billion from 2012 through 2014, according to a report by the Pacific Institute. Renewable energy, especially solar, helped make up for about 55% of the reduction in hydroelectricity in 2013 and 2014, state officials said. Natural-gas-fired power made up the rest. Burning more natural gas to compensate for the reduced hydropower led to an 8% increase in carbon dioxide emissions from California power plants during a three year period, said Gleick, author of the Pacific Institute study. Hydropower produces little to no air pollution. "If the drought continues," Gleick said, "if one of the impacts is a permanent reduction in hydropower, we need to ramp up other renewables even more than we are." Experts said California had little choice but to diversify its power generation beyond dams. Even in normal years, the dams have been producing basically the same amount of hydropower as they did decades ago. Huge population growth since the 1950s meant the need for more overall electricity. Instead of building more dams to supply the extra electricity, officials found other sources of energy. "We've built on all of the good dam sites in California. We're not going to expand hydrogeneration almost anywhere in the West," Gleick said. "So in an expanding energy demand situation, hydro just becomes a smaller and smaller fraction of the overall system." When hydropower plants were first built in California a century ago, they were sold as a way to handle two precious commodities: power and water. In 1909, while creating the Los Angeles Aqueduct, officials began building hydroelectricity plants that helped power the construction equipment. Hydropower is created when water passes through a turbine, which spins a generator and creates an electrical field. The power is sent to an electrical substation and enters the electric grid. Generating the power does not require extra water — After going through the turbines, usually in a power plant at a dam, the water returns to the river or canal system. Unlike solar or wind-produced power, which depend on whether the sun comes out or the wind is blowing, hydropower is more controllable, officials said. At reservoirs, officials can turn a valve to increase the water flow whenever more electricity is needed. Energy suppliers rely on hydro as reserve power, and as a quick way to respond to surges in demand for electricity. In drought years, it's a difficult balancing act because hydropower isn't always an immediate option. "It's a much bigger operational challenge," said Colin Cushnie, Southern California Edison's vice president of energy procurement and management. "The hydro energy plays a very important role in maintaining system reliability, because of the flexibility it provides system operators." Edison's hydropower plants are expected to produce less than one-fifth of its usual production this year, but this will not affect Edison's ability to keep the lights on for its 14 million customers, Cushnie said. Even in an average year, the hydropower Edison produces is only 5% of its total energy supply. When hydropower is not as available, Edison has to rely more on natural-gas-fired power plants, which take longer to turn on and are more complicated to operate, Cushnie said. Wind and solar, and power purchased from other providers, have also helped Edison make up the hydropower difference. Across the state, the continuing drought could also hit some electric customers in their wallets. One megawatt-hour of hydropower usually costs less than $1.40, while solar and wind could cost as much as $4.20 to $8.10 per megawatt-hour in the state, officials estimated. The Sacramento Municipal Utility District, whose energy supply is about 20% hydroelectricity, began charging a 1.3% hydropower surcharge in April, or about $1.19 extra per month on an average residential bill. During dry years, the district has had a reserve fund to draw money to purchase extra power. In 2011, there was $40 million in the reserve. Four drought years later: Almost zero. For the Sacramento Municipal Utility District, hydroelectricity is the bread and butter of power because it's a highly effective system that was built 50 years ago. Officials don't have to take bond money to build big new infrastructure, as they do for solar and wind power. To produce hydropower, it's just maintenance and operation costs, spokesman Christopher Capra said. Officials said costs will go down and there will be less reliance on natural gas to make up the difference as solar and wind power continue to grow. Wind and solar, accelerated by state mandates to focus on using renewable energy, have gone up more than 2.5 times in the past two years, said Robert Weisenmiller, chair of the California Energy Commission. Wind and solar will also get cheaper and more reliable as more plants are installed, officials said. But until this happens. Californians will have to stay drought-conscious, even when it comes to energy. Although it takes water to make electricity, it also takes electricity to move water from reservoirs to California's farms and showers. "Saving water and saving energy are tied together," Weisenmiller said. "You can help save water by reducing energy use. It's really important that going forward, we use both energy and water wisely." Much of the vitriol and intolerance is leveled at anyone who does not accept claims that we face imminent man made climate disasters. Our scientific method and traditions of free speech and open debate are under assault as never before, by intolerant inquisitors in our media, universities, government agencies, and even Congress and the Vatican. They threaten our most basic rights and freedoms, our political and scientific processes – and ultimately our continued innovation and invention, energy reliability and affordability, job creation and economic growth, and modern living standards, health and welfare. Congressman Grijalva and Senators Markey, Boxer and Whitehouse sent letters to universities, think tanks and companies, demanding detailed information on skeptics’ funding and activities – in an attempt to destroy their funding, reputations and careers, while advancing “crony climate alarm science.” Equally intolerable, Democrats and the White House are blocking efforts to ensure that environmental regulations are based on honest, unbiased, transparent, replicable science that accurately reflects real-world evidence. The Secret Science Reform Act (S. 544) and its House counterpart would require that the Environmental Protection Agency develop its regulations and the science behind them in the open, and allow experts and other interested parties to examine data, evidence and studies that supposedly support EPA standards and mandates that could cost billions of dollars and millions of jobs. This should not be controversial. But Democrats on the Senate Environment and Public Works Committee wanted Chairman James Inhofe to drop the bill from a planned markup. He refused, the bill passed on a party-line vote, and a Senate vote will be set soon. President Obama says he will veto the legislation. Why this opposition? Obama said his would be the most transparent administration in history. But transparency quickly took a back seat to his radical climate change, renewable energy and other plans to “fundamentally transform” the United States. EPA practices epitomize what goes on throughout his Executive Branch, why our economy is growing at 0.2% and what congressional Democrats are apparently determined to perpetuate. The problem is not only EPA’s private email accounts and deleted emails, á la Hillary Clinton. It’s illegal experiments on humans – with test results ignored when they don’t support EPA’s agenda of removing the last vestige of soot from coal-fired power plants. It’s rules for 0.5% of the mercury in U.S. air, justified with claims that they would bring a 0.00209 point improvement in IQ scores; economy and job-killing climate regulations that would reduce warming by 0.03 degrees by 2100, assuming carbon dioxide actually does drive climate change; and equally bogus health and environmental benefits of every description that ignore adverse human health and welfare impacts of the EPA regulations themselves. The President and Democrats claim the “secret science” bill would “unduly burden” regulators. Baloney. The rules would simply require that promulgators of government edicts live according to the same rules they impose on us: Be honest and transparent. Show us your data, calculations and analyses. Demonstrate that you have examined all relevant studies – not just what supports your agenda, while you ignore everything else. Back up your analyses and decisions with actual evidence. Answer our questions. Recognize that collusion, deceit and fraud have no place in public policy, and will no longer be tolerated. What can possibly be wrong with those guidelines – unless the regulators have a lot to hide? And now the Vatican is adopting the same secretive, agenda-driven, inquisition tactics. Its Pontifical Academy of Sciences recently held a workshop on climate change and sustainability. But only religious leaders, scientists, bureaucrats and regulators who support alarmist perspectives on these issues were invited. Those with contrary views were neither invited, welcomed nor tolerated. However, a dozen climate, health and theological experts skeptical of “dangerous manmade climate change” allegations hosted a press event the day before the workshop. Three of them managed to get into the Vatican event. But when Climate Depot director Marc Morano tried to ask the UN Secretary General to advise Pope Francis that many Catholics and other Christians believe the papal position on global warming is ill-advised, a security guard took Morano’s microphone away and told him, “control yourself, or you will be escorted out of here.” Apostates have no rights at climate confabs, Vatican or otherwise. As IPCC leaders have explained, the climate change agenda is no longer about the environment. It is now about “intentionally transforming” the global economy and negotiating the redistribution of the world’s wealth and natural resources, in the name of “social justice” and equal distribution of misery. These developments are far too typical. Left-Liberal thought police refuse to debate their failed ideas and policies, because they have no answers to inconvenient questions and cannot stomach dissenting views. On campuses, free expression is limited to boxing-ring-sized “free speech zones.” Conservative speakers are banned from university events, or shouted down if they do appear. The Universities of Michigan and Maryland tried to ban “American Sniper” because a couple hundred students out of 27,000 objected. Oberlin and Georgetown students railed that Christina Hoff Sommers’ mere presence required “trigger warnings,” caused them “distress” and “discomfort,” and “constituted violence” against women. “Free speech has never been … more comprehensively, aggressively and dangerously threatened than it is now. Today’s attack is … an attack on the theory of freedom of speech … on the desirability of free speech and indeed … on the very possibility of free speech…. The abuses and intolerance are becoming broader, deeper, more frightening by the day: from Christendom to Islam and Climate Orthodoxy; from universities to the Congress, Vatican, EU and United Nations. Good people everywhere need to rise up, speak out and fight back, if they still believe in individual rights, freedom of thought and expression, and honest, transparent, trustworthy, accountable government and religious institutions. Otherwise, these fundamental values will disappear – and with them will go modern society and living standards, and efforts to improve the lives of billions of people who still lack the lifesaving energy and technologies so many of us take for granted. A new warning has come to NASA from the Inuits. They are warning that the change in climate is not due to global warming but rather, because of the Earth shifting a bit. The elders declare that the sun rises at a different position now, not where it used to previously. They also have longer daylight to hunt now, the sun is much higher than earlier, and it gets warmer much quickly. Other elders across the north also confirmed the same thing about the sky changing when interviewed. They also alleged that the position of sun, moon and stars have all changed causing changes in the temperature. This has also affected the wind and it is very difficult to predict the weather now and according to them predicting weather is necessary on Arctic. All the elders confirmed that the Earth has shifted, wobbled or tilted toward the North. This information provided by the Inuit Elders has caused a great concern in the NASA scientists. A recent video provides tangible proof of what the Intuit Elders have been saying all along. Our magnetic north and south poles have been moving along very swiftly, especially in recent years. It is hypothesized that one of these poles will end up somewhere near the Bermuda Triangle and the South Atlantic anomaly when the flip occurs. It is not yet understood what this means for humanity, but I’m quite sure this would, at the very least, affect all migratory animals and insects, along with all compasses and GPS systems and satellites, thus affecting all airlines, cars, and maps that rely on that technology. Magnetic records have revealed that the last magnetic pole shift occurred approximately 780,000 years ago while a magnetic pole shift, on average, occurs once every 200,000 to 300,000 years. When any animal or insect is affected by a major change or mass die off, we’re ALL affected. One of the lessons we came here to experience is how to learn from the cycles of time. Unfortunately, we don’t have any records of what happened 780,000 years ago and how it affected mankind, along with all other living species on this planet. It’s quite possible that we’re receiving extraterrestrial assistance in preventing a catastrophe from happening because the last pole shift should have occurred over 400,000 years ago. As evidenced by numerous paintings throughout history, our planet has been visited by extraterrestrials for thousands of years, if not longer. Are The Climate Engineers Attempting To Shut Down The Gulf Stream? Is it possible that the global power structure is desperate enough and insane enough to attempt to slow or shutdown the thermohaline circulation? Could this be an effort to slow the rapid warming of our planet by attempting to reduce the catastrophic thawing of methane on the seabed of the Arctic (which is a risk to all life on Earth) by cutting off the flow of warm ocean currents to that region? It is impossible to know the answer to this question, but if a shutdown of the thermohaline occurs (whatever the cause or causes), it will come with yet more dire consequences to the climate. If the thermohaline does drastically slow or collapse, it will only make an already bad climate scenario far worse still. 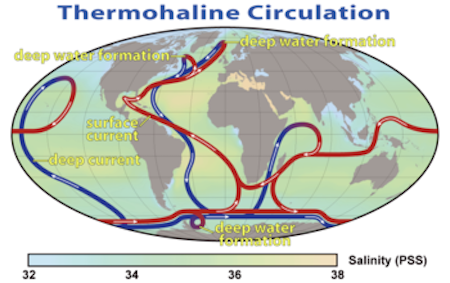 The thermohaline circulation is a primary temperature regulator for planet Earth. Geoengineering has drastically altered upper level wind patterns. This in turn has altered ocean currents, some of which have been pushing even more warm water into the Arctic, thus worsening the scenario of seabed methane release. Are the weather makers now going to "double down" on climate engineering by attempting to slow or shut down the thermohaline circulation? The latest data confirms the thermohaline circulation has slowed significantly. The ongoing global geoengineering programs have done and continue to do immense and unquantifiable damage to the planet and its life support systems. The more manifest the destruction has become, the more radically the climate engineers have attempted to mitigate and/or hide the damage done by further ramping up the scope and scale of the climate engineering insanity.The climate science community continues to attribute all the unprecedented and rapidly unfolding climate changes and disruptions to every form of human activity, but climate engineering is of course still never acknowledged. This blatant lie of total omission MUST BE EXPOSED. An unimaginably massive and continuous climate engineering assault has been the primary driving factor behind the extremely anomalous cold zone across the Eastern US which extends into the critical North Atlantic region where thermohaline circulation is fueled. The completely engineered cooling is occurring in exactly the region where it will have the most profound effect on the thermohaline circulation. The incredibly anomalous cold zone in the Eastern US which extends into the North Atlantic is completely engineered and thus completely unnatural. In recent years precipitation has been consistently robbed from the Western US and pumped in to the Eastern US to help fuel the engineered cool-downs there. This constant flow of precipitation along with the unprecedented flow of meltwater from Greenland is reducing the salinity and thus the density of the surface waters in this critical area of the North Atlantic which are normally very saline and dense in this region. The climate engineers also continuously directed precipitation precipitation in to this region. If the thermohaline circulation slows significantly, or shuts down completely, the ramifications for the climate system and our oceans would likely be catastrophic. In addition, if a thermohaline shutdown does occur, the lack of ocean circulation would further push our seas toward a stratified lifeless oxygen deprived state known as "Canfield Ocean". There is immense momentum behind the planetary warming now occurring, every day the climate engineers interfere with Earth's natural processes will only worsen the scenario that is unfolding. 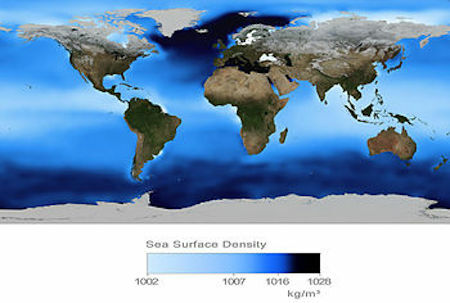 This map was produced by professor German oceanographer and climatologist. Stefan Rahmstorf. It reflects overall temperature deviations from normal for the 113 year period from 1900 through 2013. The anomalously cool zone directly over the North Atlantic region where the thermohaline conveyer is most vulnerable and most effected is certainly of particular interest since we know that Earth's climate system has been manipulated for the last 65 years. The entire climate science community is in criminal denial in regard to the climate engineering factor in the ever more dire climate disintegration occurring on our planet at blinding speed. Though there are countless forms of damage to the planet and Earth's climate system, (all forms of anthropogenic activity must be considered a form of geoengineering), the ongoing deliberate, intentional, and catastrophic geoengineering programs are the greatest source of climate disruption and disintegration of all. There is no way to know the full agenda of the climate engineers with any overall certainty, but if the thermohaline circulation does shut down (whatever the cause), there will be immense consequences. It will make an already catastrophic climate situation far worse still. No matter what the climate engineers are or aren't trying to do in regard to the thermohaline current, and no matter what the happens in regard to the flow of the current, the rapid warming of our planet is locked in at this point, the inertia is unstoppable (short of some factor that is as of yet completely unknown to science). Geoengineering programs are completely disrupting and decimating the climate and life support systems of the entire planet. In addition, the toxic heavy metal and chemical fallout from climate engineering has completely contaminated the biosphere, this contamination grows worse by the day. Each and every one of us are needed in the fight to expose and halt climate engineering, make your voice heard. 14 Responses to Are The Climate Engineers Attempting To Shut Down The Gulf Stream? Dane, My guess would be that the dumb geoterrorists are trying to prevent the thermohaline shutdown by cooling the Eastern U.S. Their spraying and ionospheric heating with rf frequencies and such has heated the glaciers, causing ever increasing amounts of fresh water to enter the stream. If there is too much fresh water, the current shuts down. So they're probably trying to prevent the shutdown by cooling with massive spraying of hugely toxic chemicals, toxic to all sea and land life, including our lives. Hello md4, yes, I understand your thinking and certainly considered the same, but when the climate engineers constantly shade and ice nucleate over the region in question the then block evaporation from occuring (with the constant spraying for SRM) which would be a compensating factor to the freshwater buildup. Also, a great deal of moisture is being continueously migrated to this area of the North Atlantic from the west and the Gulf of Mexico. Its a complicated equation, perhaps they are making some sort of attempt to alter the current in order to limit the flow of warm water north into the Arctic. As I stated in the article, we can not know all the motives from behind the geoengineering curtain, but harm comes from everything they do. If geoengineering was to cool the Arctic, as AMEG wants done, why are the planet hackers cooling the eastern half of North America, while also allowing the Eastern Siberian Shelf, Greenland, Alaska and the Mackenzie Delta to burn up? If they've decided to stall the jet stream in the Atlantic, it would be just another mad science experiment, and how can it possibly help the dire conditions already created? Here in Anchorage today it was cool 42 F. Most of the day we actually saw what came close to being our deep blue clear sky, so typical of this time of year before geoengineering (except it's too warm). The jets were spraying, but the trails weren't too long. Nevertheless, on my way home at 7 pm it was obvious the sky had been chem bombed again. The last time they did this I was sick for two weeks with what seemed to be very extreme allergies. Did I read something about how the formula was about to change to something transparent, therefore invisible? Does anyone know? Would this still involve creating cloud cover or be about nucleating cold temperatures only? In my opinion from observation, is that creating cloud cover to keep the Sun out does more to keep the heat in. In Alaska historically, the clear cold nights released any heat on the ground into the atmosphere. When it was cloudy and snowing (for example) it's always warmer. Lately and cynically, I feel like they are just trying to kill everything, just because they can, and because it's "fun" to these power crazy psychopaths. Bella, I agree with what you have noticed as far as a new mix or type of chemtrail. It leaves a less obvious trail/or a short one, and kind of whites out the sun, allowing one to look directly at the sun. The sky is less blue and not the typical white out. I'm wondering why we have this residual "snow scum"left on the grass this year in Michigan. It was not there last year after the snow melted.I wish I could test it.The consistency is of elmers glue that has dried.We always have a lot of spraying over us in West Michigan and the snow was weird as well, like concrete at times.I talk to everyone I can get to look up! I live in west Michigan, and the local news has enlisted area garden experts to tell us that the "scum" is nothing more than "snow mold" that developed because of the early snowfall this season. They say it's harmless and to get out there and rake it off the lawn. The story obviously worked, because I've had the details carefully repeated to me by a couple people. No one asks why this hasn't happened in the past. I just want people to do a search for weather modification contractors because they work for the ones controlling our climate. The pieces begin to fit together, little by little. The chemical spraying, which is very apparent yet denied, is because there is no one in the Government responsible for this program, because it is a secret program, carried out by the shadow or secret government. The shadow government is made up of and controlled by the Elite Bankers Cabal, of which little is known. What is known is that the Rockefellers, and other old money families are part of it, especially the Rothschild. They are after power and money, and have controlled the Fed Reserve Bank since its creation. They make massive money by controlling society, through owning vast companies, like the media outlets, multinational corporations, weapon manufacturers, land, farms, markets etc. By creating conflict, they can always sell their wares, at high prices, making huge profits, and money is power, they have millions of people on their payroll and answer to no one. First it was the cold war, and communism became the enemy. Now it is terrorism as the enemy. But these enemies have been created to allow them to make more and get more control. They have questionable morals. These are the ones pushing the West to a war with the east, like Russia, or China, or some other nation. Perpetual war is part of their plan. When Bill Clinton was in office, Sara McLennan(?) asked him why there was not government disclosure concerning ETs (such as the Roswell incident). she said he replied, Sara, there is a government inside the government, (meaning the shadow government) and I don't control it. 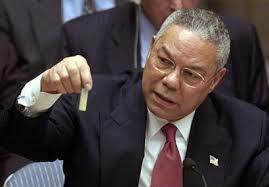 Because of this the government is in possession of much advanced technology, which the public is not aware of. Among these are DUMBs(Deep Underground Military Bases) which were documented by Philip Schneider, and others before he was murdered. There are also underwater bases operated by the US Navy. Little is known about these, but there is some information available. Because of these advancements, the shadow government feels secure in their manipulation of the world, including the weather. The coming economic collapse is being created by the Cabal, and will not occur until all the elements of their next step in the plan are prepared: The New World Order, lead by their chosen puppet. I have actually only presented the tip of the iceberg, so to speak, there is much more to this. Along with constant aerosol spraying and crazy polar vortexes this winter there have been weird earth rumblings as well as fish and marine mammal die-offs recently here on the Outer Banks (Far East coast) of NC. The rumblings and die-offs remain unexplained although we are told by the "authorities" it's all "normal", has "happened before", and not to worry. This article just adds to the weirdness. Hi guys, Yesterday, as I returned a movie to our only video store, the owner, who has become a friend owing in part to both of us having autoimmune problems as well as being crippled, and my constant patronage, I took the opportunity to try to bring up geoengineering with him again. He is college educated as are his children, his wife a nurse, and he is quite smart and pleasant. He, early on said he believed all that is happening-weather wise-is just part of Earth's natural cycles. So I asked if he still believed that. He said that actually, he believes we are going into another ice age!!!!!!! I just burst out laughing, like a good belly laugh as it struck me as so funny and he began to laugh too, saying: no, really, then starting to explain-I interrupted and said: you do know that Antarctica is beginning to fall apart, don't you? He said, well then why did it have so much ice cover this past year?–just as I was about to pounce, his phone rang and it was his mom-and so another time. I left laughing, I mean…. But seriously, why no talk about Antarctica? Did no one watch the Vice episode? The seas warming There?! The exponential result given the Arctic?!!!! Surely this thermohaline thing has Something to do with it. I wanted to say the ice appeared greater owing to artificial nucleation, but I wasn't so sure of myself. We spend a lot of time here discussing the Arctic, never a word about Antarctica. Shocking that. Two Big western chunks off and gone–fishing? By the way, the Pacific is not dead yet. Much sea life to the south, way south-humpback whales and much more. My friend in Louisiana says the fish there have rebounded and I saw stuff about that, and now masses of sharks too. Vice just did an episode on sharks. Apparently they represent a tipping point for the ocean and massively overfished primarily for fins for Asia. The dead bodies just dumped back into the ocean by the thousands. So much of our species extinction has to do with over kill. One way and another. Vice is an excellent program and produced by Bill Maher. Again, want Dane to be on his show!! Hi Rachel I just read your post and thought you might find this lecture by Peter Ward interesting (below link). Currents (ocean and jet stream) are a result of the differences in temperature between the poles and equator. There are additional factors such as deep see terrain which form river type flows and a churning effect differential between the warmer surface and colder deep sea temps. As the differential between temps in the poles and equator become more equitable the currents slow down. There have been past incidents of Ocean stagnation discovered in sediment core samples from previous warming periods. While I don’t doubt this is being acerbated by Geoengineering it is a troubling and unfortunate side effect of climate change. If you feel comfortable relaying this information, I would point out to your friend that mass and mini-extinction events are also a well studied cyclical patterns. Mankind has largely made it impossible for us to naturally enter into another ice age due to the current C02 level which has reached 400ppm. We know from ice core samples that go back up to 800K years the average atmospheric C02 readings averaged 250 to 270ppm. Slight deviations in other environmental conditions allowed the planet to slip in and out of ice ages. We are currently in the midst of the sixth extinction event. If your friend is inquisitive, it is very easy for him to find verifiable data from multiple reliable sources online and in respectable books. The current mass extinction event is anthropological (man made). A primary factor impacting mammals and amphibians is fungal infections which is impacting forests throughout the world, in the States Brown Bats and amphibians in rain forests. Just to name a few examples unfortunately there are many more. Fungi love the extended warmer weather we are experiencing due to climate change. There are of course multiple factors contributing to the ongoing nightmare. I do believe geoengineering is adding fuel to the fire. We have maybe 9 months before a TOTALITARIAN WORLD GOVERNMENT tries to TAKE OVER THE PLANET using GLOBAL WARMING AS A COMMUNIST PLATFORM. FACTS:- NO GLOBAL WARMING FOR THE LAST 18-19 YEARS! “We are colder these days because the Earth has been in a cooling cycle for 19 years and that cycle is based entirely on the Sun which has been radiating less heat for the same period of time. “THE debate about climate change is finished – because it has been categorically proved NOT to exist, one of the world’s leading meteorologists has claimed,” says this article on express.co.uk. 23 Oct 14 – (Excerpts) – John Coleman, who co-founded the Weather Channel, shocked academics by insisting the theory of man-made climate change was no longer scientifically credible. Man made climate change is a myth, according to Coleman. Instead, what ‘little evidence’ there is for rising global temperatures points to a ‘natural phenomenon’ within a developing eco-system. In an open letter attacking the Intergovernmental Panel on Climate Change, he wrote: “The ocean is not rising significantly. “The polar ice is increasing, not melting away. Polar Bears are increasing in number. “Heat waves have actually diminished, not increased. There is not an uptick in the number or strength of storms (in fact storms are diminishing). “There is no significant man-made global warming at this time, there has been none in the past and there is no reason to fear any in the future. “Efforts to prove the theory that carbon dioxide is a significant greenhouse gas and pollutant causing significant warming or weather effects have failed. Climate expert William Happer, from Princeton University, supported Mr Coleman’s claims. “The incredible list of supposed horrors that increasing carbon dioxide will bring the world is pure belief disguised as science,” said Happer.